Kerry and I went walking around Sister Bay, WI, one afternoon earlier this week to check out some shops. We took a wrong turn, or so we thought, because we soon realized we were heading away from most of the businesses. We came upon an obscure sign for an Orthodox chapel but did not immediately see anything in the trees behind it, between two homes. Then we noticed another sign farther back in the woods and took a path leading to a small building, doors held shut by a rock. 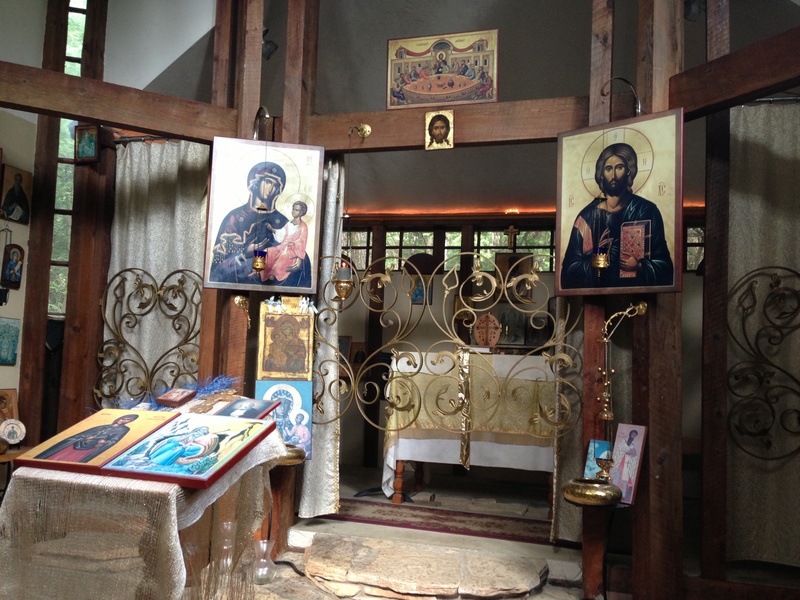 Inside, we found a timeline of Church history, religious paintings, icons, the sound of spiritual songs playing in the background, the sweet aroma of incense and an invitation to pray for the unity of the Church. The discovery moved us to what seemed the only appropriate response – silence. As we prepared to leave, I noticed a guest book and began to sign it. Being on vacation, I had lost track of the date and asked Kerry. July 22nd – 25 years since we lost Dad. As I write this, a flood of thoughts: all that I remember, and so much that I forget; my father having never seen my wife or met my children or witnessed my having become a pastor; the swift passage of time into history; the supremacy of love; the God not confined by time and whom scripture says engraves the names of his children on his palms (Isaiah 49:16); hidden holy places, and moments of unexpected joy.